Shaver’s Creek customized team development and leadership programs enable group members to learn about one another, build stronger teams, and enhance organizational dynamics. We prepare team-building programs for all sizes of corporate groups, student groups, and nonprofit organizations. Our talented and diverse corps of facilitators makes it possible for us to design a team-building program or staff retreat geared specifically to the strategic goals of your group or organization. The Shaver’s Creek Team Development Center offers customized team networking programs that help group members strengthen their team by learning about one another. Business networking is a socioeconomic activity through which groups of like-minded businesspeople recognize, create, or act upon business opportunities. Leveraging relationships as part of your network is an important factor to get the best from your team. Our networking programs provide a fun, energizing, and informative way for your group to harness the power of a strong network. A networking event is a great way to get together as part of a conference or to start a retreat. See a sample agenda for a team networking event that Shaver’s Creek can facilitate for your group. The Shaver’s Creek Team Development Center provides programs year round. Please email Chris Ortiz, ceo103@psu.edu, to discuss planning a networking event for your organization or team. Prices are dependent on the program design, location, duration, and number of participants. The Shaver’s Creek Team Development Center offers customized team-building programs that enable groups to forge a stronger team dynamic. Our programs are designed based on a client assessment that enables us to facilitate specific goals. Team-building activities can focus on communication skills, cooperation skills, trust, problem-solving skills, and relationship building. These dynamics are keys to a team’s success. 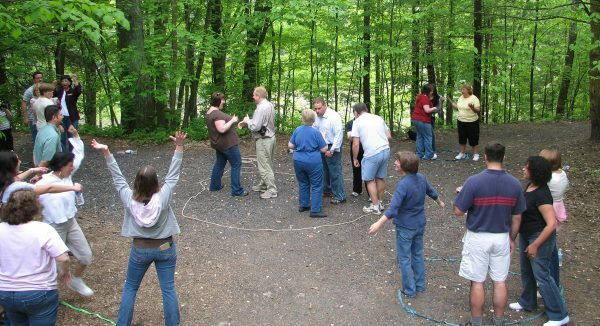 We use various experiential exercises to connect groups to the goals of the program. During and after each activity, our skilled facilitators will guide the group through a conversation about what they learned and also how to apply the experience back to their “real-world” situation. Whether it is a business group, sports team, student group, or other type of intact team, we can provide a memorable experience with applicable “take-aways.” Our facilitators are trained professionals from a variety of backgrounds. We match each facilitator’s skill set with the type of group they are scheduled to work with, enabling us to tailor a program to each group at its own particular level. See a sample agenda for a team-building program that Shaver’s Creek could facilitate for your group, including activity descriptions. The Shaver’s Creek Team Development Center provides programs year round. 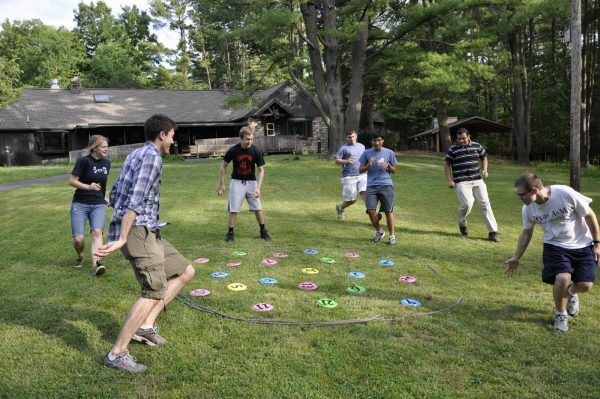 Please email Chris Ortiz, team development director, at ceo103@psu.edu to discuss planning a team-building program for your organization or team. We custom design programs based on your (unique) goals. Prices for customized programs are dependent on the program design, location, duration, and number of participants.